InDaily’s hit list of events and shows, including State Opera’s open-air Carmen in the Square, the French Film Festival, Hannah Gadbsy’s new stand-up show, gigs by The Jezabels and talking sculptures at the Art Gallery of SA. Comedy film Dumped is screening at the French Film Festival this weekend. The annual Alliance Française French Film Festival began yesterday at Palace Nova East End and Prospect cinemas. This year the festival will screen 54 films over one month. Highlights this week include Dany – François Damien’s directorial debut about a criminal who learns his teenage son has sought a legal emancipation order from the courts; Dumped – about two sisters who help their mother get over a break-up with their father, and romantic drama An Impossible Love, based on a Christine Angot novel. The festival runs until April 18. Full program here. 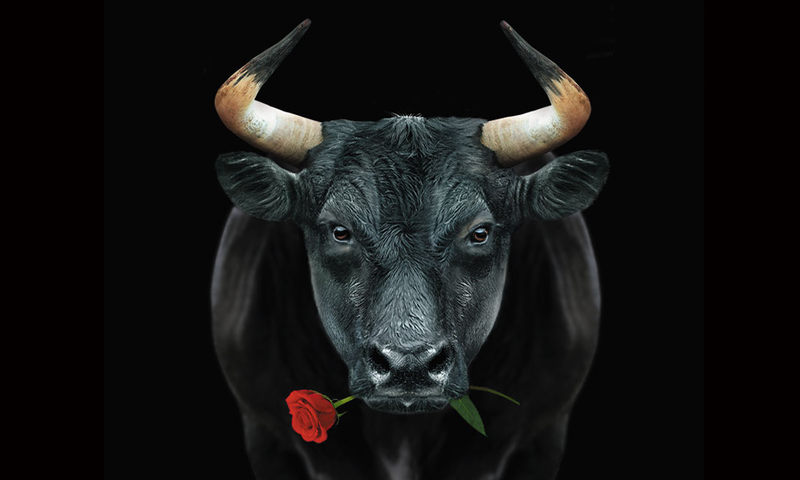 State Opera will transport audience members to Spain tomorrow night with an open-air performance of Carmen in Victoria Square. The family-friendly event will star mezzo-soprano Helen Serman as the fiery Gypsy seductress Carmen, and will be presented with a full orchestra and opera chorus, with the action to be projected onto three large screens. There will also be food trucks and bars. Read more about the production in InDaily’s interview with State Opera artistic director Stuart Maunder. Tickets for the picnic area have sold out, but A, B and C-reserved seating was still available last we checked the website. Limited tickets are still available to see comedian Hannah Gadsby’s new stand-up show Douglas at the Dunstan Playhouse tomorrow. Hot off the back of her award-winning show Nanette, Gadsby has turned to her beloved dog Douglas as the inspiration behind this performance. According to the program guide, “Hannah found her voice with Nanette and with Douglas she plans to use it”. Details here. Perth-based artist Tarryn Gill will present her soft-sculpture exhibition Guardians at the Art Gallery of SA from tomorrow. The free exhibition features nine soft sculptures reminiscent of characters found in folktales, pop culture, myths and legends. The stitched and sewn objects are fitted with speakers to create a soundscape as they chatter among themselves. Gill says the sculptures were inspired by psychoanalyst Anna Freud, who would often knit while analysing her patients. Guardians is on display until May 5. Sydney indie-rock outfit The Jezabels are performing at The Walkers Arms Hotel tonight and The Grand Bar in Glenelg tomorrow night for their Australian tour. The band will perform their most recent single “The Others”, released in 2017, as well as a range of hits spanning their 12-year career. Entry to both gigs is free. Principal conductor Nicholas Carter will lead the Adelaide Symphony Orchestra through music by Elgar, Sibelius, Ravel and Respighi next Friday and Saturday nights at the Adelaide Town Hall. The concerts – titled From the Mists of Time – are the first in this year’s Master Series. The orchestra will begin with Elgar’s “In the South”, and continue with Sibelius’s “Violin Concerto” (featuring guest violinist Simone Lamsma), Ravel’s “La Valse” and Respighi’s “Pines of Rome”. One hour before the concerts, ASO conductor Graham Abbott and violinist Shirin Lim will give a presentation on the four composers as part of the orchestra’s “Mingling Room” series.